"The best little town in Northumberland County"
As of the census of 2016, there were 279 people, 107 households, and 83 families residing in the borough. PLEASE NOTE: McEwensville Borough does not own the McEwensville Cemetery. For information regarding the cemetery, please contact Tonya Pentycofe, cemetery association secretary at 570-538-2756. The McEwensville Borough Council is pleased to announce that the Borough Social Hall is now AIR CONDITIONED!! Please let your friends and family know -there are several dates open for your parties, reunions and get-togethers!! Contact Dave Heddings at 570-538-5087 for additional information. 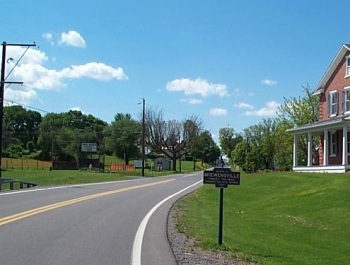 The Borough Council meets the first Wednesday of each month at 7:00 PM in the Borough Office located in the rear of the Community Hall - 2578 Susquehanna Trail, McEwensville. The Code Enforcement, Permit and Zoning Official for McEwensville Borough is Light-Heigel of Montandon, PA. Their phone number is 570-524-7742. Please contact them for any questions you may have regarding any of these issues. The Borough Council would like to remind residents of burning restrictions on Sundays and legal holidays. Also no burning is permitted after dark. Please be a good neighbor and be mindful of others!